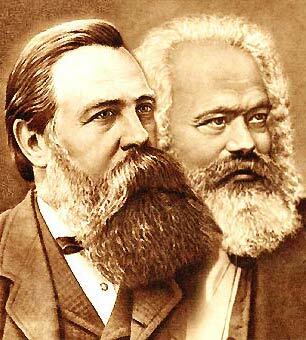 To whom does Karl Marx and Fredreick Engels belong ? Why do we ask this question ? A capitalist-revisionist publishing company is claiming the copyright of the collected works of Karl Marx and Friedrich Engels !!!!!!!!!!!!! All the volumes of the whole Collected Works of Karl Marx and Friedrich Engels - published in English language - are completely deleted from the internet - as for example deleted from the websites of the Trotskyite "MIA" (Marxist Internet Archive). [ Address: 99a Wallis Road London E9 5LN ] - which is linked with the social-fascist (!!!!!) 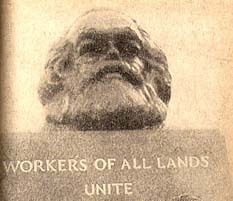 Britain's "Communist" Party - has directed MIA to delete all texts originating from Marx Engels Collected Works (MECW). The works of Marx and Engels will only be "theft-proof"
if completely implemented by the whole world proletariat !!!! The Copyright for Marx Engels Collected Works belongs NOT to a capitalist-revisionist profiteer - neither today nor tomorrow ! The works of Marx and Engels are neither private property nor for sale, thus for the purpose of profit making. Marx and Engels belong to the world proletariat , belong to the whole mankind. It is the nature of communism that everything on earth is shared for free. And according to this principle we communists work for communism - for free, for the liberation and prospering of the world's society. The most essential task of us communists is the socialization of private property in the period of socialism and finally the abolishment of property at all - in the period of communism. The copyright is a bourgeois right - a right to exploit and oppress the workers. Bourgeois rights will be removed together with the class of the bourgeoisie. The legacy of the works of Karl Marx and Friedrich Engels will be defended forever by us communists all over the world! And the defense of the works of Marx and Engels does mean nothing else but publishing and implementing their works by means of revolutionary practice - even if it would cost us our life ! "The abolition of private property is the main demand of world communism!" 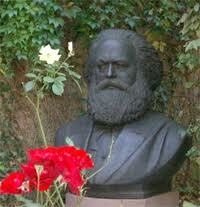 Marx, Karl, was born on May 5, 1818 (New Style), in the city of Trier (Rhenish Prussia). His father was a lawyer, a Jew, who in 1824 adopted Protestantism. The family was well-to-do, cultured, but not revolutionary. After graduating from a Gymnasium in Trier, Marx entered the university, first at Bonn and later in Berlin, where he read law, majoring in history and philosophy. He concluded his university course in 1841, submitting a doctoral thesis on the philosophy of Epicurus. 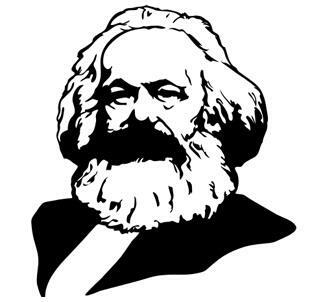 At the time Marx was a Hegelian idealist in his views. In Berlin, he belonged to the circle of “Left Hegelians” (Bruno Bauer and others) who sought to draw atheistic and revolutionary conclusion from Hegel’s philosophy. After graduating, Marx moved to Bonn, hoping to become a professor. 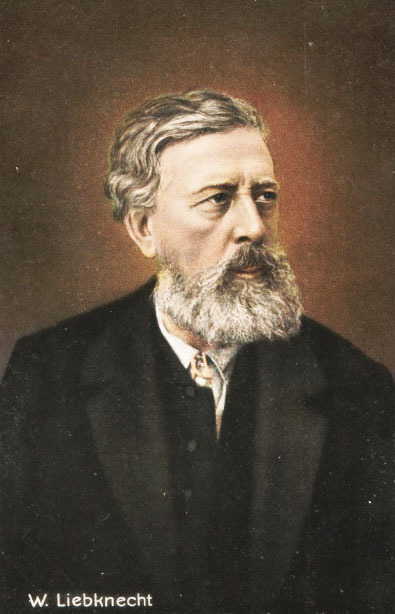 However, the reactionary policy of the government, which deprived Ludwig Feuerbach of his chair in 1832, refused to allow him to return to the university in 1836, and in 1841 forbade young Professor Bruno Bauer to lecture at Bonn, made Marx abandon the idea of an academic career. Left Hegelian views were making rapid headway in Germany at the time. Feuerbach began to criticize theology, particularly after 1836, and turn to materialism, which in 1841 gained ascendancy in his philosophy (The Essence of Christianity). The year 1843 saw the appearance of his Principles of the Philosophy of the Future. 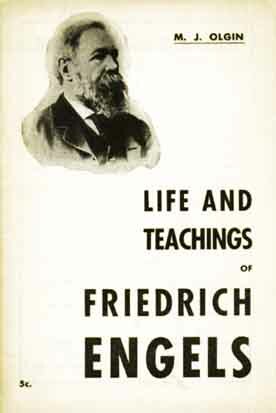 “One must oneself have experienced the liberating effect” of these books, Engels subsequently wrote of these works of Feuerbach. “We [i.e., the Left Hegelians, including Marx] all became at once Feuerbachians.” At that time, some radical bourgeois in the Rhineland, who were in touch with the Left Hegelians, founded, in Cologne, an opposition paper calledRheinische Zeitung (The first issue appeared on January 1, 1842). Marx and Bruno Bauer were invited to be the chief contributors, and in October 1842 Marx became editor-in-chief and moved from Bonn to Cologne. The newspaper’s revolutionary-democratic trend became more and more pronounced under Marx’s editorship, and the government first imposed double and triple censorship on the paper, and then on January 1 1843 decided to suppress it. Marx had to resign the editorship before that date, but his resignation did not save the paper, which suspended publication in March 1843. Of the major articles Marx contributed to Rheinische Zeitung, Engels notes, in addition to those indicated below (see Bibliography), an article on the condition of peasant winegrowers in the Moselle Valley. Marx’s journalistic activities convinced him that he was insufficiently acquainted with political economy, and he zealously set out to study it. In 1843, Marx married, at Kreuznach, a childhood friend he had become engaged to while still a student. His wife came of a reactionary family of the Prussian nobility, her elder brother being Prussia’s Minister of the Interior during a most reactionary period—1850-58. In the autumn of 1843, Marx went to Paris in order to publish a radical journal abroad, together with Arnold Ruge (1802-1880); Left Hegelian; in prison in 1825-30; a political exile following 1848, and a Bismarckian after 1866-70). 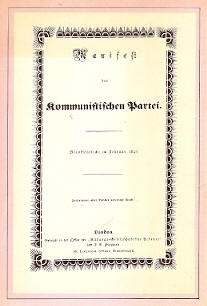 Only one issue of this journal, Deutsch-Französische Jahrbücher, appeared; publication was discontinued owing to the difficulty of secretly distributing it in Germany, and to disagreement with Ruge. 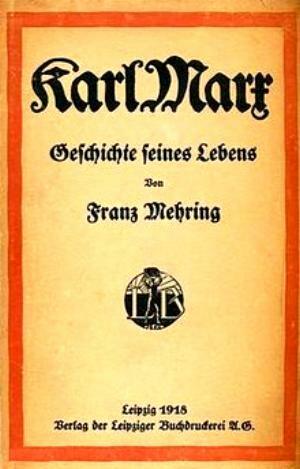 Marx’s articles in this journal showed that he was already a revolutionary who advocated “merciless criticism of everything existing”, and in particular the “criticism by weapon”, and appealed to the masses and to the proletariat. 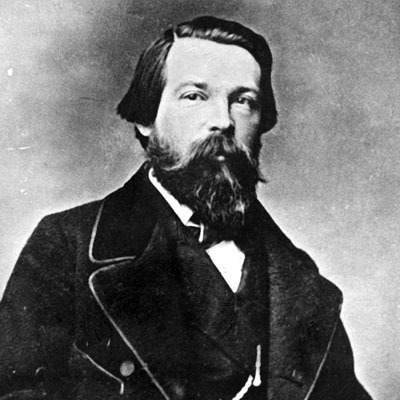 In September 1844, Frederick Engels came to Paris for a few days, and from that time on became Marx’s closest friend. They both took a most active part in the then seething life of the revolutionary groups in Paris (of particular importance at the time was Proudhon’s doctrine), which Marx pulled to pieces in his Poverty of Philosophy, 1847); waging a vigorous struggle against the various doctrines of petty-bourgeois socialism, they worked out the theory and tactics of revolutionary proletarian socialism, or communism Marxism). 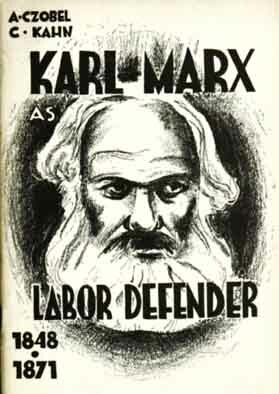 See Marx’s works of this period, 1844-48 in theBibliography. At the insistent request of the Prussian government, Marx was banished from Paris in 1845, as a dangerous revolutionary. He went to Brussels. In the spring of 1847 Marx and Engels joined a secret propaganda society called the Communist League; they took a prominent part in the League’s Second Congress (London, November 1847), at whose request they drew up the celebrated Communist Manifesto, which appeared in February 1848. 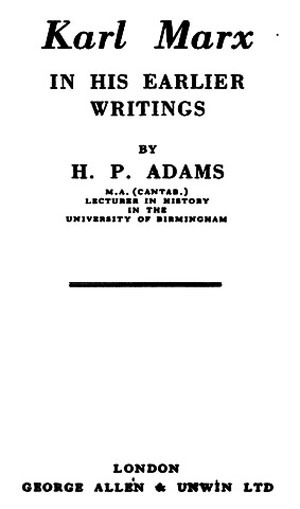 With the clarity and brilliance of genius, this work outlines a new world-conception, consistent with materialism, which also embrace the realm of social life; dialectics, as the most comprehensive and profound doctrine of development; the theory of the class struggle and of the world-historic revolutionary role of the proletariat—the creator of a new, communist society. On the outbreak of the Revolution of February 1848, Marx was banished from Belgium. He returned to Paris, whence, after the March Revolution, he went to Cologne, Germany, where Neue Rheinische Zeitung was published from June 1, 1848, to May 19, 1849, with Marx as editor-in-chief. The new theory was splendidly confirmed by the course of the revolutionary events of 1848-49, just as it has been subsequently confirmed by all proletarian and democratic movements in all countries of the world. The victorious counter-revolution first instigated court proceedings against Marx (he was acquitted on February 9, 1849), and then banished him from Germany (May 16, 1849). First Marx went to Paris, was again banished after the demonstration of June 13, 1849, and then went to London, where he lived until his death. 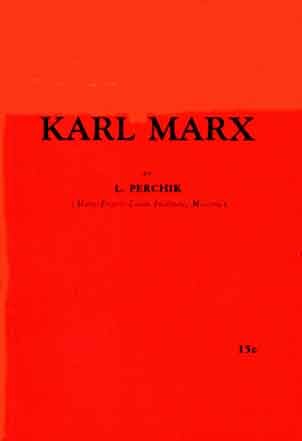 His life as a political exile was a very hard one, as the correspondence between Marx and Engels (published in 1913) clearly reveals. Poverty weighed heavily on Marx and his family; had it not been for Engels’ constant and selfless financial aid, Marx would not only have been unable to complete Capital but would have inevitably have been crushed by want. Moreover, the prevailing doctrines and trends of petty-bourgeois socialism, and of non-proletarian socialism in general, forced Marx to wage a continuous and merciless struggle and sometime to repel the most savage and monstrous personal attacks (Herr Vogt). 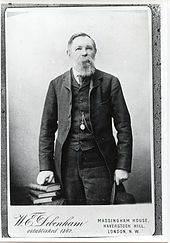 Marx, who stood aloof from circles of political exiles, developed his materialist theory in a number of historical works (see Bibliography), devoting himself mainly to a study of political economy. Marx revolutionized science (see “The Marxist Doctrine”, below) in his Contribution to the Critique of Political Economy (1859) and Capital (Vol. I, 1867). 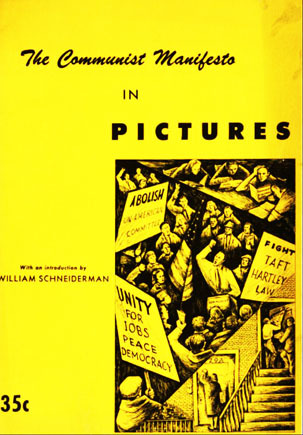 The revival of the democratic movements in the late fifties and in the sixties recalled Marx to practical activity. In 1864 (September 28) the International Working Men’s Association—the celebrated First International—was founded in London. Marx was the heart and soul of this organization, and author of its first Address and of a host of resolutions, declaration and manifestoes. In uniting the labor movement of various forms of non-proletarian, pre-Marxist socialism (Mazzini, Proudhon, Bakunin, liberal trade-unionism in Britain, Lassallean vacillations to the right in Germany, etc. ), and in combating the theories of all these sects and schools, Marx hammered out a uniform tactic for the proletarian struggle of the working in the various countries. Following the downfall of the Paris Commune (1871)—of which gave such a profound, clear-cut, brilliant effective and revolutionary analysis (The Civil War In France, 1871)—and the Bakunin-caused cleavage in the International, the latter organization could no longer exist in Europe. 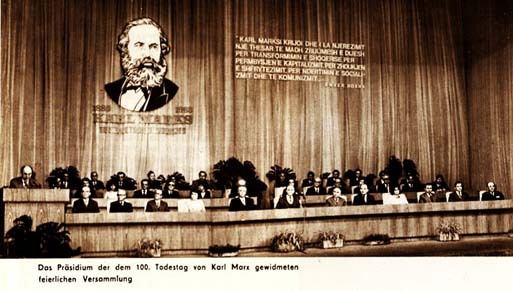 After the Hague Congress of the International (1872), Marx had the General Council of the International had played its historical part, and now made way for a period of a far greater development of the labor movement in all countries in the world, a period in which the movement grew in scope, and mass socialist working-class parties in individual national states were formed. Marx’s health was undermined by his strenuous work in the International and his still more strenuous theoretical occupations. 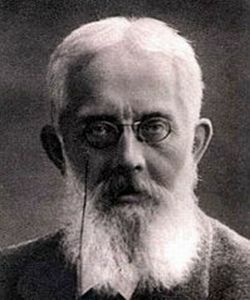 He continued work on the refashioning of political economy and on the completion ofCapital, for which he collected a mass of new material and studied a number of languages (Russian, for instance). However, ill-health prevented him from completing Capital. 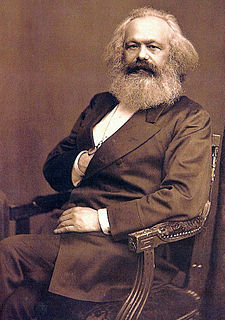 His wife died on December 2, 1881, and on March 14, 1883, Marx passed away peacefully in his armchair. He lies buried next to his wife at Highgate Cemetery in London. Of Marx’s children some died in childhood in London, when the family were living in destitute circumstances. Three daughters married English and French socialists; Eleanor Aveling, Laura Lafargue and Jenny Longuet. The latters’ son is a member of the French Socialist Party. This “Bibliography” written by Lenin for the article is not included. —Ed. The reference is to the article “Justification of the Correspondent from the Mosel” by Karl Marx.—Ed. The reference is to the Deutsch-Franzosische Jahrbucher (German-French Annals), a magazine edited by Karl Marx and Arnold Ruge and published in German in Paris. 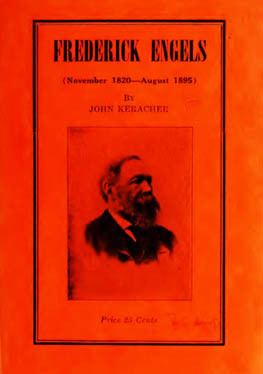 Only the first issue, a double one, appeared, in February 1844. It included works by Karl Marx and Frederick Engels which marked the final transition of Marx and Engels to materialism and communism. 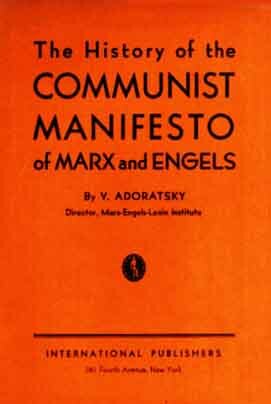 Publication of the magazine was discontinued mainly as a result of basic differences of opinion between Marx and the bourgeois radical Ruge.—Ed. Proudhonism—An unscientific trend in petty-bourgeois socialism, hostile to Marxism, so called after its ideologist, the French anarchist Pierre Joseph Proudhon. Proudhon criticized big capitalist property from the petty-bourgeois position and dreamed of perpetuating small private ownership. He proposed the foundation of “people’s” and “exchange” banks, with the aid of which the workers would be able to acquire the means of production, become handicraftsmen and ensure the just marketing of their produce. Proudhon did not understand the historic role of the proletariat and displayed a negative attitude to the class struggle, the proletarian revolution, and the dictatorship of the proletariat; as an anarchist, he denied the need for the state. Marx subjected Proudhonism to ruthless criticism in his work The Poverty of Philosophy.—Ed. The Communist League—The first international communist organization of the proletariat founded under the guidance of Marx and Engels in London early in June 1847. 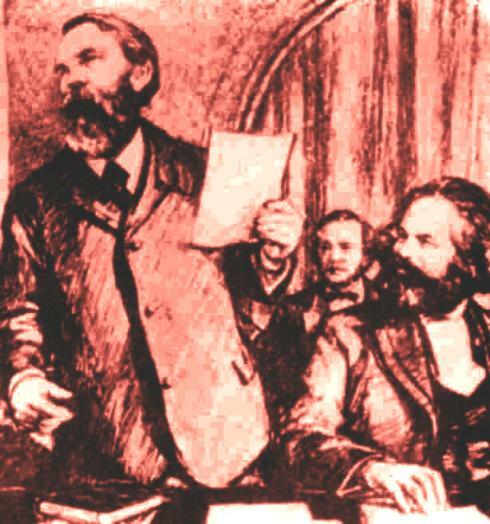 Marx and Engels helped to work out the programmatic and organizational principles of the League; they wrote its programme—the Manifesto of the Communist Party, published in February 1848. The Communist League was the predecessor of the International Working Men’s Association (The First International). It existed until November 1852, its prominent members later playing a leading role in the First International.—Ed. The reference is to the bourgeois revolutions in Germany and Austria which began in March 1848.—Ed. The reference is to the bourgeois revolution in France in February 1848.—Ed. Die Neue Rheinische Zeitung (New Rhenish Gazette)—Published in Cologne from June 1, 1848, to May 19, 1849. Marx and Engels directed the newspaper, Marx being its editor-in-chief. Lenin characterized Die Neue Rheinische Zeitung as “the finest and unsurpassed organ of the revolutionary proletariat”. Despite persecution and the obstacles placed in its way by the police, the newspaper staunchly defended the interests of revolutionary democracy, the interests of the proletariat. Because of Marx’s banishment from Prussia in May 1849 and the persecution of the other editors. Die Neue Rheinische Zeitung had to cease publication.—Ed. The reference is to the mass demonstration in Paris organized by the Montagne, the party of the petty bourgeoisie, in protest against the infringement by the President and the majority in the Legislative Assembly of the constitutional orders established in the revolution of 1848. The demonstration was dispersed by the government.—Ed. The reference is to Marx’s pamphlet Herr Vogt, which was written in reply to the slanderous pamphlet by Vogt, a Bonapartist agent provocateur, My Process Against “Allgemeine Zeitung”.—Ed. The First International Workingmen’s Association was the first international tendency that grouped together all the worlds’ workers parties in one unified international party.—Ed. Bakuninism—A trend called after its leader Mikhail Bakunin, an ideologist of anarchism and enemy of Marxism and scientific socialism.—Ed. Prosveshcheniye No 3., March 1913. Pravda No. 50, March 1, 1913. What a heart has ceased to beat!" 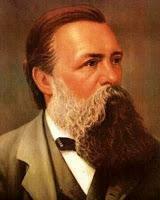 Long live Frederick Engels ! Today, we celebrate the 118th anniversary of comrade Engels’ death day. Comrade Engels’ legacy is immortal. It will live forever on the minds and hearts of every worker and of every true communist. Comrade Engels is the 2nd Classic of Marxism-Leninism and, thus, he is one of the major theorisers of communist ideology. 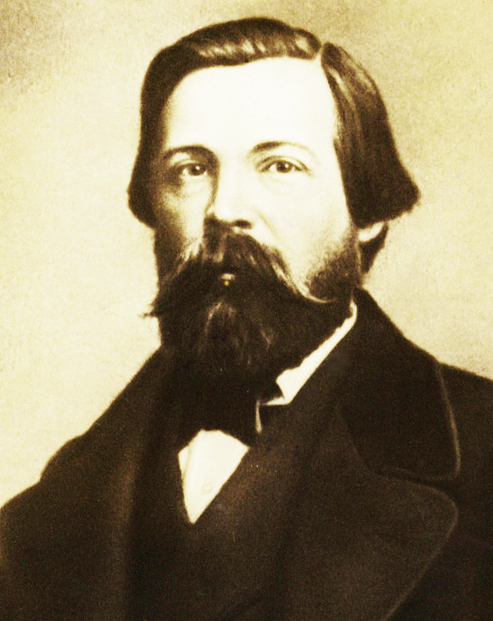 Comrade Engels authored many books like “Anti-Durhing” and “The Origin of Family, Private Property and the State” which are considered to be among the most essential works of scientific socialism and which undoubtedly contribute to the opening of the doors towards the total and definitive emancipation of the oppressed classes from capitalist exploitation. Comrade Engels was also the closest friend and collaborator of comrade Marx, and both during and after Marx’s death, Engels strived in order to defend, consolidate and develop Marxism. 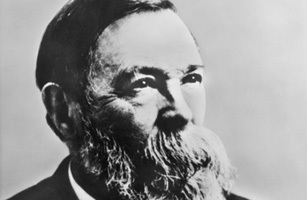 Following the lessons of comrade Marx (the First Classic of Marxism-Leninism), Engels continued to develop them and to explained capitalisms’ true innate exploitative and oppressive nature with outstanding scientific accuracy at an epoch when capitalism was still in ascension and its monopolist and imperialist character was still in an embryonic phase. Moreover, comrade Engels was also one of the greatest proletarian internationalists of all times, and he played a key role as the co-founder (together with comrade Marx) of the First International. In fact, already during his lifetime, comrade Engels had to struggle against the revisionists who wanted to deprive Marxism from its genuinely revolutionary and proletarian character and to turn it into a reformist ideology entirely inoffensive to the bourgeoisie. 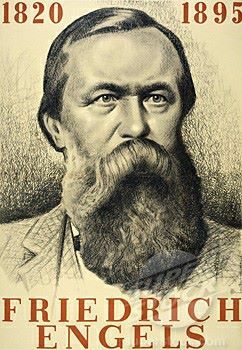 But he managed to unmask and to condemn them all, never permitting that bourgeois-revisionist influences could deviate world workers from the path of authentic socialist Marxist ideology, even because comrade Engels knew very well that socio-economic laws of production utterly demand that socialism and communism are not only mere possibilities but veritable historical necessities. Today, the Comintern (SH) is the only true defender not only of comrade Engels, but also of all other Classics, as it is impossible to support one of the Classics without equally supporting also all others without exception. Based on the invincible teachings of the 5 Classics of Marxism-Leninism, we march resolutely towards world socialist revolution, world proletarian dictatorship, world socialism and world communism. Long live comrade Engels, the 2nd Classic of Marxism-Leninism! 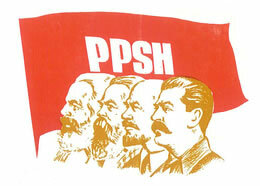 Long live the 5 Classics of Marxism-Leninism: Marx, Engels, Lenin, Stalin and Enver Hoxha! Long live world socialist revolution and world proletarian dictatorship! Long live the Comintern (SH)! 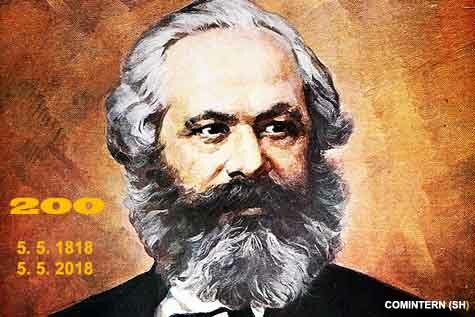 On the significance of the "Communist Manifesto"
Long live the 170th anniversary of the Communist Manifesto ! "After his friend Karl Marx (who died in 1883), Engels was the finest scholar and teacher of the modern proletariat in the whole civilised world. From the time that fate brought Karl Marx and Frederick Engels together, the two friends devoted their life’s work to a common cause. The services rendered by Marx and Engels to the working class may be expressed in a few words thus: they taught the working class to know itself and be conscious of itself, and they substituted science for dreams. " There was a time when the bourgeoisie swarmed for the communimus - that was especially in the end of the 1840s. Engels wrote Marx about this. But when Marxism entered the stage of world history, it was the bourgeoisie who turned away from communism while the workers turned to communism. 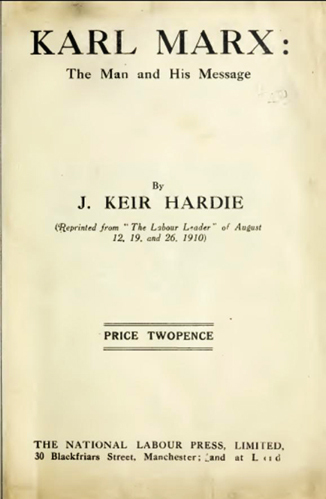 "This little booklet is worth whole volumes: to this day its spirit inspires and guides the entire organised and fighting proletariat of the civilised world." Until 1870 Engels lived in Manchester and Marx in London, while they were in correspondence almost daily, to exchange their views and knowledge and to work together on the development of scientific socialism. The correspondence between Marx and Engels covers nearly four decades, from 1844 until shortly before Marx's death in 1883. It may confidently be described as one of the most tremendous historical and human documents of the nineteenth century, testimony to a friendship of rare intensity. The correspondence, which takes up nine volumes of 400 to 500 pages each in the collected edition of Marx's and Engels's Works (MEW), has been preserved almost in its entirety. The letters reveal the most extraordinary details -- such as Marx's incessant financial difficulties which gave rise to his almost peremptory demands to Engels -- who supported him throughout his life -- to send him money. There exists no better biographical document of the two men than their letters. On the occasion of the 198th birthday we include the correspondence between Marx and Engels in different languages in our Marx-Engels-Archive. "If one were to attempt to define in a single word the focus, so to speak, of the whole correspondence, the central point at which the whole body of ideas expressed and discussed converges—that word would be dialectics. The application of materialist dialectics to the reshaping of all political economy from its foundations up, its application to history, natural science, philosophy and to the policy and tactics of the working class—that was what interested Marx and Engels most of all, that was where they contributed what was most essential and new, and that was what constituted the masterly advance they made in the history of revolutionary thought." "Old legends contain various moving instances of friendship. The European proletariat may say that its science was created by two scholars and fighters, whose relationship to each other surpasses the most moving stories of the ancients about human friendship. Engels always – and, on the whole, quite justly – placed himself after Marx." In 1870, Engels moved to London, where he cared for his friend Marx, namely until Marx died in 1883. The names Marx and Engels stand for the names of the founders of proletarian world ideology. For more than 40 years, Marx and Engels have been as inseparable as their revolutionary ideas that survive the centuries. The perfect unity of ideas was the basis of the boundless and combative friendship that linked Engels to Marx. 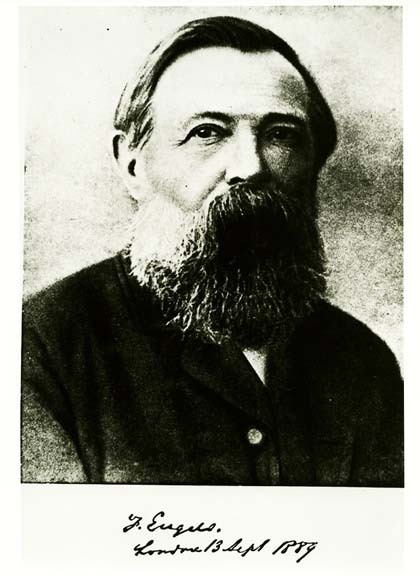 Engels has never expressed in any of his works a view that would be in conflict with Marx's point of view, or with the spirit of Marxism in general. In spite of the originality of his conceptions, conditioned by the division of labor between Marx and Engels [e.g. : Marx = political economy/ Engels = natural sciences], Engels has basically expressed and elaborated the same revolutionary principles as Marx. Both fought together for the same ideas. It is only the bourgeois revisionist historians who continue to try to divide Marx and Engels apart and to construct opposites between Marx and Engels. Some claim that Engels only made Marxism "popular," while others go so far as to claim that Engels "revised" and "vulgarized" Marxism. This tactic of the bourgeois ideologists is not new: "Hitting Marxism by means of pummelling Engels." Attempts are made to set Marx and Engels against each other, in order to attack the inner unity of the doctrine of Marxism with the aim of adapting proletarian ideology to bourgeois ideology, to undermine the Marxist influence in the working class. Using the same tactics, the bourgeoisie then tried to contrast Leninism with Marxism as a "deviant" ideology, to condemn Stalinism as a "deviation" from Leninism, and today to declare Stalinism-Hoxhaism "incompatible" with Marxism-Leninism, respectively to equate them. All these attempts by the open and hidden enemies of proletarian ideology were and are doomed to failure. For, just as Engels defended Marxism victoriously after the death of Marx, so did Lenin after the death of Engels. Stalin victoriously defended Leninism after Lenin's death and Enver Hoxha, after Stalin's death, had victoriously defended Stalinism. And so we Stalinists-Hoxhaists today defend Stalinism-Hoxhaism. The further development of proletarian ideology will continue to live in the minds and hearts of the revolutionary world proletariat and serve as a guide to the world socialist revolution. Just as the 5 Classics of Marxism-Lenism have faithfully served world communism to the last breath, so we Stalinists-Hoxhaists must also be faithful to world communism to the last breath. In this sense, we keep the revolutionary banner of Friedrich Engels high and higher. 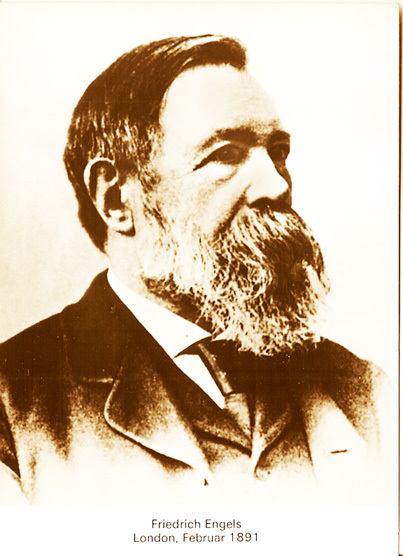 We are celebrating the 198th birthday of Friedrich Engels in anticipation of the "Friedrich Engels Year 2020", thus in preparation for his 200th birthday, which we want to celebrate just like we have done this during the current year with the 200th anniversary of Karl Marx.